Some participants in the 2017 Inaugural Florida State Leadership Meeting to End the Death Penalty. (L-R) Ron Wright - Florida's #27 exonerated Death Row survivor, Karen Gottlieb - Co-director of Florida Center for Capital Representation FIU Law, Mark Elliott - FADP Director, Ingrid Delgado - Associate for Social Concerns/Respect Life FCCB Natishia Y. June - State Organizer ACLU of FL, Nicole Farah - murder victim family member and daughter of Darlene Farah, Pastor Susan Rogers, Darlene Farah - mother of murder victim Shelby Farah, Christine Henderson - National Organizer Florida EJUSA, Deacon Corky Hecht - Chaplain FL Death Row. (FRONT) Hanna Gorman - Florida Center for Capital Representation FIU Law and SueZann Bosler - Co-founder of The Journey of Hope and daughter of murder victim Rev. Billy Bosler. 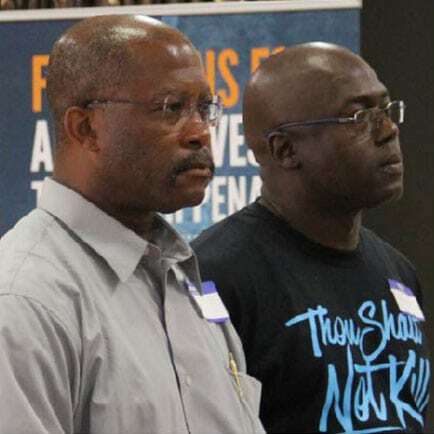 Speak Up, Speak Out – statewide and locally. 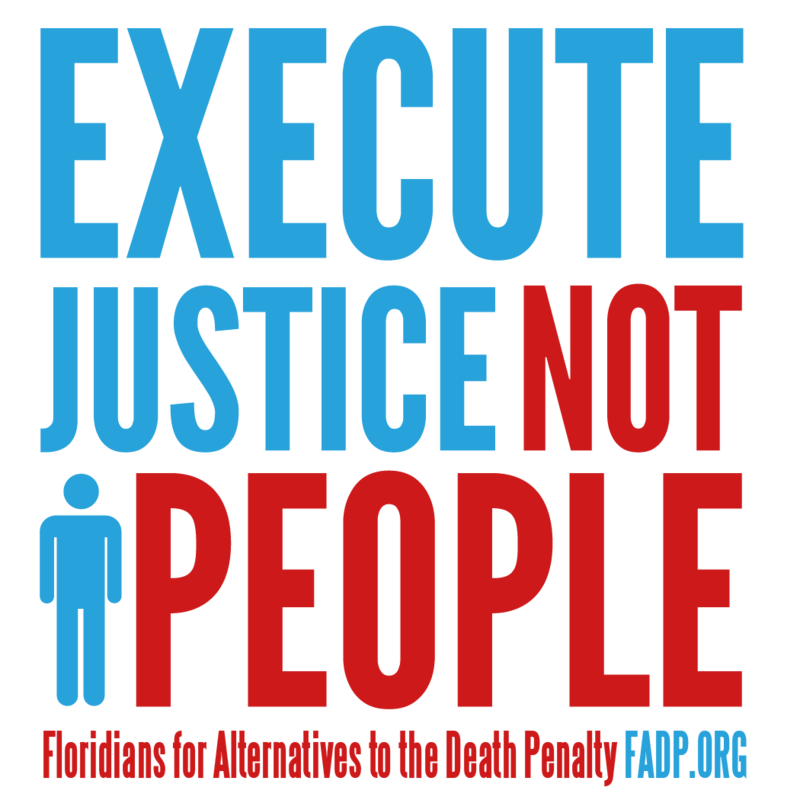 Take a stand to stop Florida executions and new death sentences. Make your voice heard today and make it count. 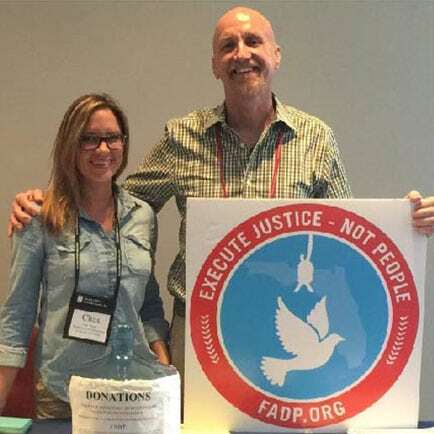 Stay informed about Florida death penalty developments, upcoming events, and opportunities for advocacy by subscribing to FADP’s contact list. 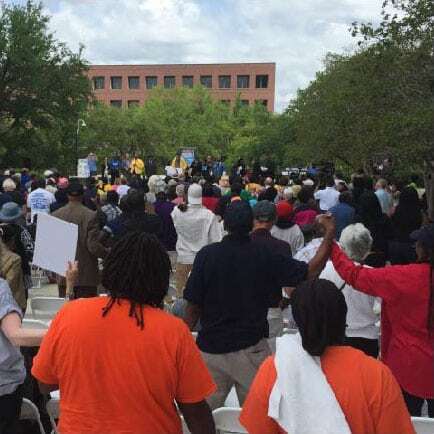 FADP’s campaign gives voice to murder victims’ families and exonerated death row survivors’ personal and powerful stories of the devastating effects of Florida’s death penalty. FL Execution of Jose Jimenez STAYED!! !